Direct Insurance Services is proud to represent Bear River Mutual Insurance Company, a leading provider of auto and homeowners insurance to Utah families. 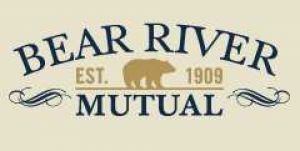 Bear River Mutual Insurance Company is Utah’s oldest mutual property and casualty insurance company. The company was organized July 1, 1909 in the Northern Utah farming community of Garland along the banks of the Bear River. Formed shortly after Garland was founded, the company was formed to help local farmers obtain insurance at more affordable rates than Utah’s other companies offered. Since Bear River Mutual only offers insurance in Utah, their customers work with local people on a one-to-one basis. This ensures the highest-quality personalized service available. For a free quote from Bear River Insurance, please call Direct Insurance today at 801-255-7300.